Pepin County 4-H Members will again have the opportunity to show at the Buffalo County Fair! In order to provide more competition and learning experiences, we are combining our fair program with Buffalo County. The Buffalo County Fair is typically held the beginning of August, running Thursday – Sunday, taking place at the Buffalo County Fairgrounds in Mondovi, WI. The Buffalo County Fair Association welcomes Pepin County 4-H (and Open Class) exhibitors to their fair. The Foods Revue and Decorated Cakes Contest will be held on Monday, July 22, 2019 at the Marten Center in Mondovi. Registration will start at 5:30 pm and judging will start at 6:00 pm. Don’t forget to enroll in your Foods Revue exhibits on FairEntry! 2019 Superintendent Training – Wednesday, July 31, 2019, 6:00 pm at the Buffalo County Fairgrounds. 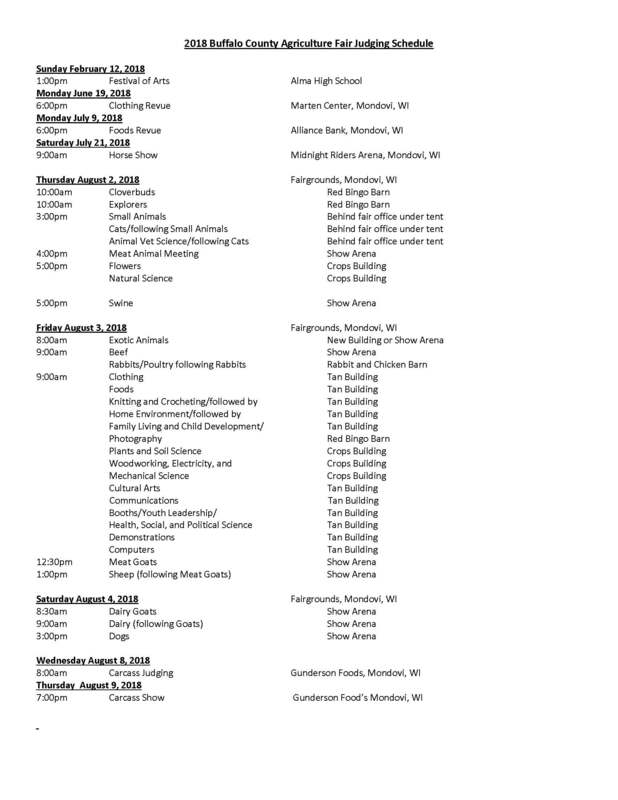 For more information on the exhibits and the auction at the Buffalo- Pepin County Fair contact the Extension Pepin County Office at 715-672-5214.